Sheriff Ralph D. Fizer, Jr. 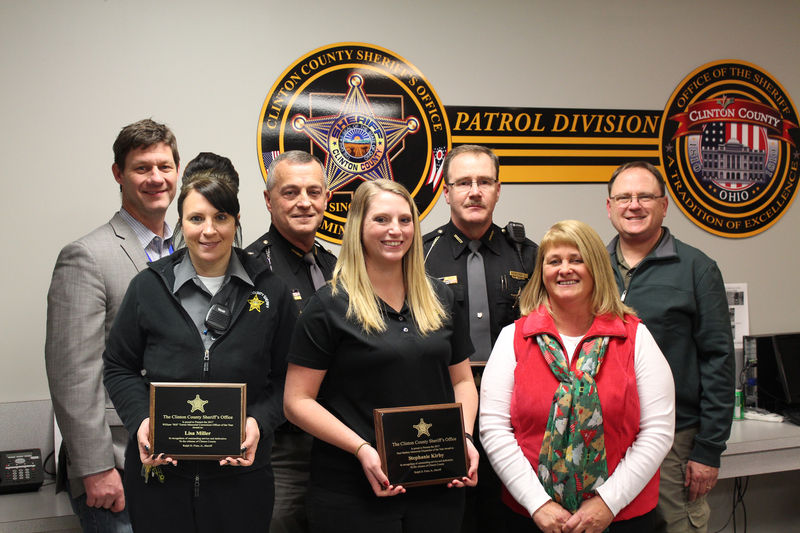 The Clinton County Sheriff’s Office 2017 Officers of the Year were honored at a meeting and luncheon in December at the Sheriff’s Office. The officer of the year awards are presented in honor of previous Sheriff’s Office employees that made a substantial impact in their respective divisions. The Deputy of the Year Award is in honor of the late Deputy Mick McCoy; the Corrections Officer of the Year Award is in honor of the late Lt. Bill Turner; and the Communications Officer of the Year Award is in honor of the late Paul Starkey. Deputy Addison P. Stonewall was honored as Deputy of the Year; Communications Officer Stephanie Kirby was named Communications Officer of the Year and Corrections Officer Lisa Miller was selected as Corrections Officer of the Year. © 2015 All rights reserved - Clinton County Sheriff's Office.